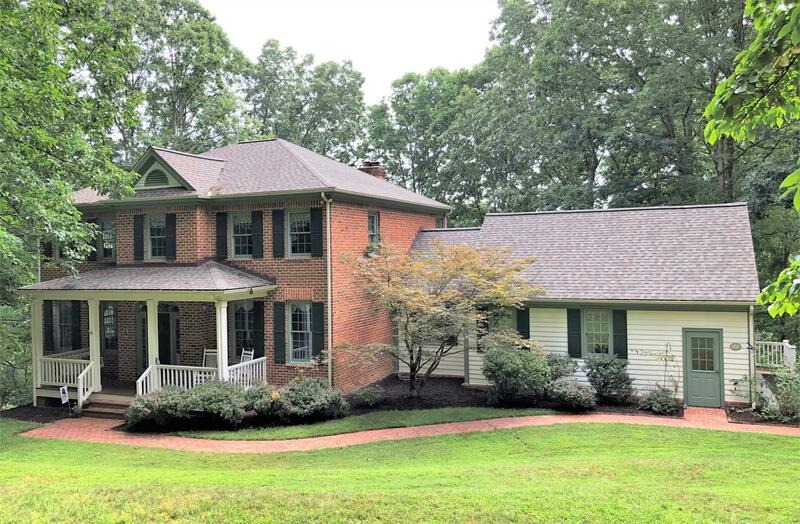 Located in one of the most prestigious neighborhoods in Blacksburg, this one-owner brick colonial is located on 2 acres, surrounded by forest, with magnificent view of the beautiful Ellett Valley. Just two miles from the Town of Blacksburg. Two huge decks provide outdoor enjoyment. The main level has living room, dining room, remodeled kitchen with granite counter tops, breakfast room, great room with large windows and gas fireplace, full bath, mud room, laundry room, and a study which could be converted into a 6th bedroom. 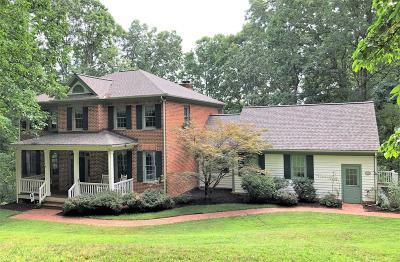 Spacious Master Suite on second floor has large in-suite bathroom and walk in closet. Second floor has additional 3 bedrooms one of which can optionally serve as a Master Suite siting room, and full bath. Lower level can be used as either a mother-in-law / guest suite with large family room or recreation area. Includes bedroom, full bath, living area, gas fireplace and kitchenette. This level also includes extensive storage with built-in shelving and workshop.